Paris is a never-ending source of inspiration for Karl Lagerfeld. For Chanel’s Fall 2018 couture show, he didn’t look further than the windows of his spaceship-inspired apartment. The impressive view from his Paris residence is all over the latest Chanel collection. Don’t get tricked by the neutral, dark color palette. Karl and Paris are in a love affair ever since he first came to live in the city, at the age of 18. With the Chanel Fall 2018 collection, the designer is teaching a masterclass in wearing gray the unboring way. 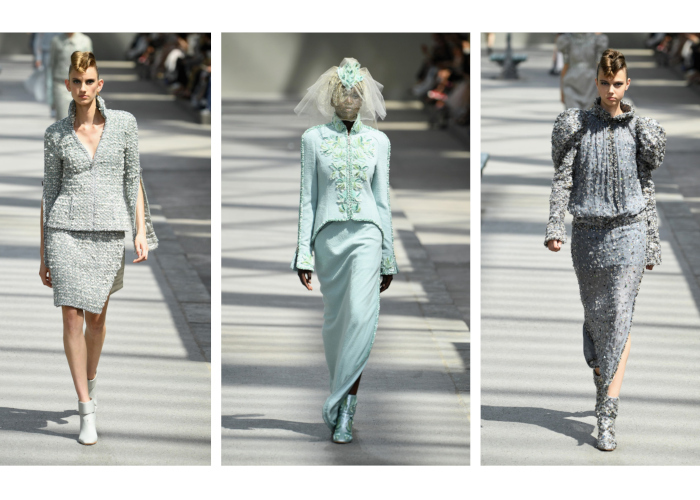 This may not be the happiest color, but the latest Chanel couture lineup will for sure put a smile on your face. Lagerfeld offered multiple couture ways to rock this neutral hue from head to toe. From the brand’s recognizable tweed suits to classy outwear, Chanel gals will have a chance to choose their favorite shade of gray in multiple styles. 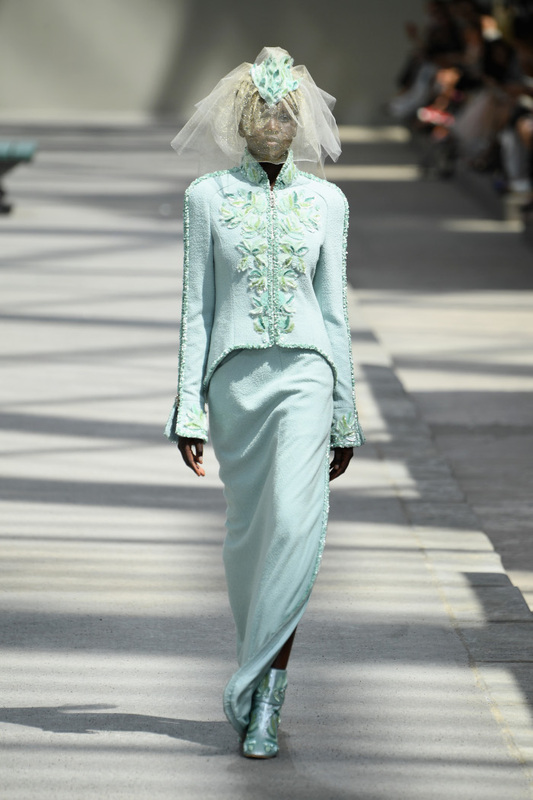 Lagerfeld kept the rest of the color palette on the neutral side with occasional pops of color including pale green, toned-down pink and ashy blue. The brand’s signature tweed suits got a smart upgrade for Fall 2018. The long skirts feature zippers that unzip all the way up to the thighs where sultry miniskirts are peeking from beneath. “You can wear it zipped down when you visit your banker, no?” Lagerfeld suggested during the preview, “and zipped up when you see your lover after!” he added. The sleeves of the blazers also come with zippers. These could be worn zipped for a more formal effect or unzipped to show off the luxe silk and chiffon linings. After all, couture is about comfort and options. The Fall 2018 Couture show didn’t miss celebrity buzz. The front row was packed with Chanel’s muses among which Penelope Cruz, who was announced as the newest brand ambassador, Lily-Rose Depp, Vanessa Paradis, Tracee Ellis Ross, Liu Wen, Ellie Bamber, Pharrell Williams and his wife Helen Lasichanh, Lily Allen and more. Most of them donned Chanel’s recognizable tweed pieces. Each year, Karl Lagerfeld chooses a model to close the couture show in an unconventional wedding gown together with Chanel’s resident kid model. 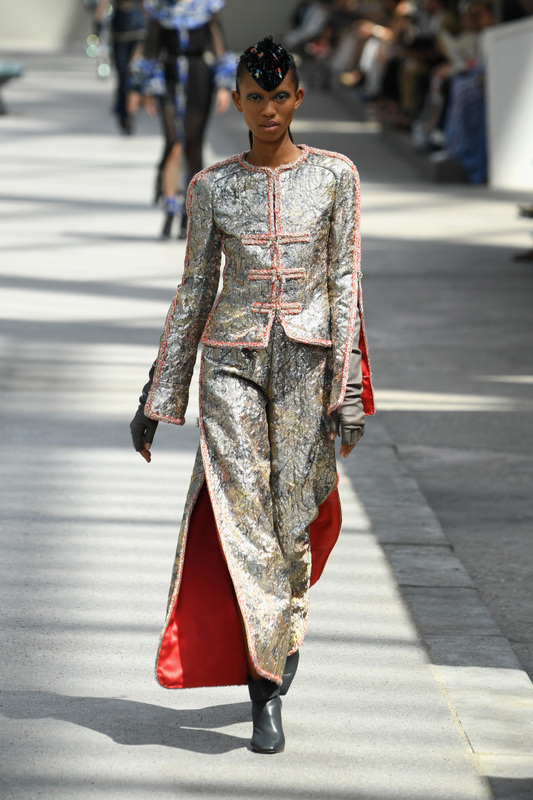 For this year’s show, the designer picked Sudanese model Adut Akech Bior, who made history as the second black model to close a Chanel Haute Couture show. She succeeded fellow Sudanese model Alek Wek who got the honors to wear the final bridal creation in 2004. Adut stunned in a mint-green two-piece tweed suit with elegant embellishments and an intricate blend of a matching hat and a bridal veil. 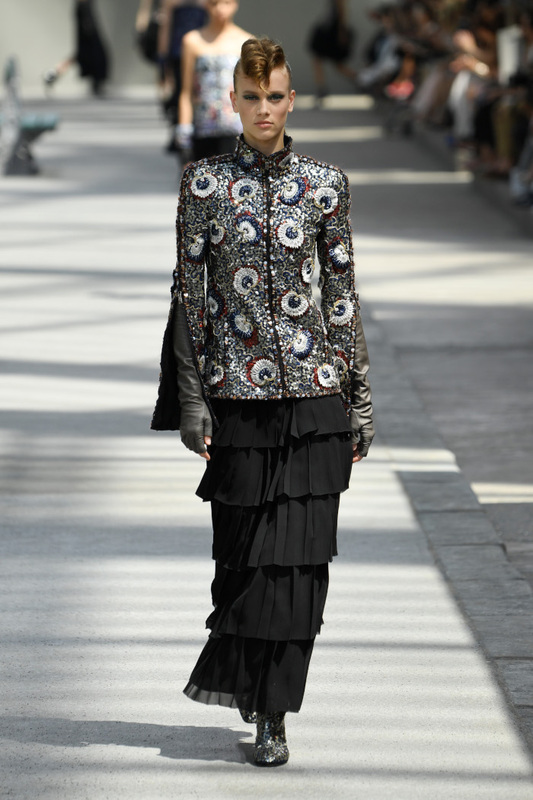 The same model was the show-opener at the last Chanel cruise runway presentation.